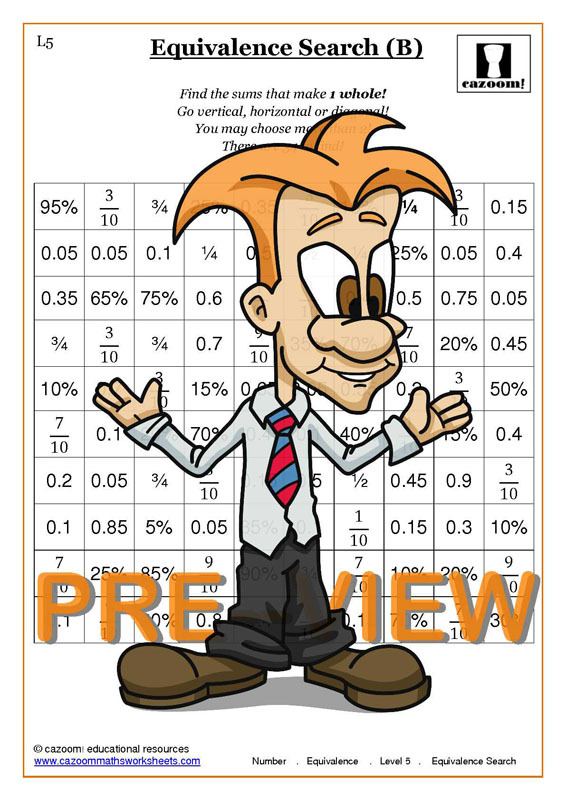 Our worksheets help children convert fractions to decimals and percentages with ease. 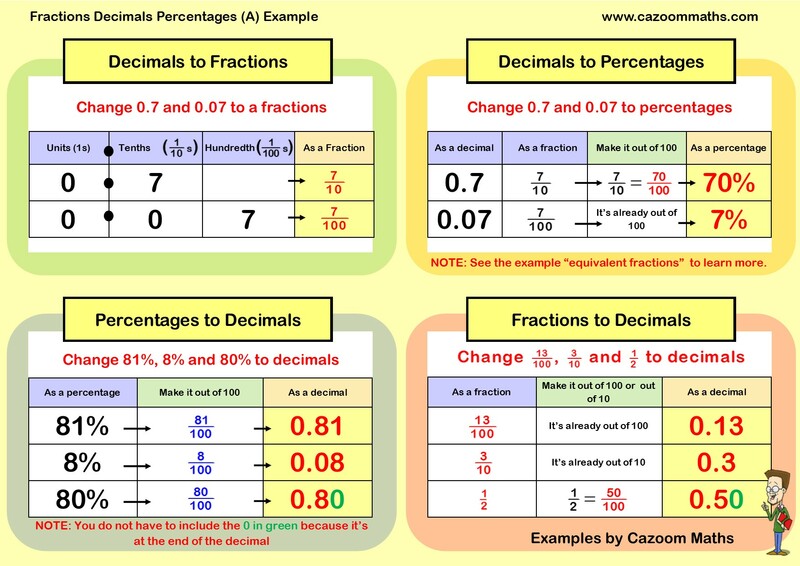 Fractions, decimals and percentages are relevant to many more areas of maths, from probabilities to number problems and algebra, so recognising equivalent fractions, decimals and percentages is an important skill to learn. 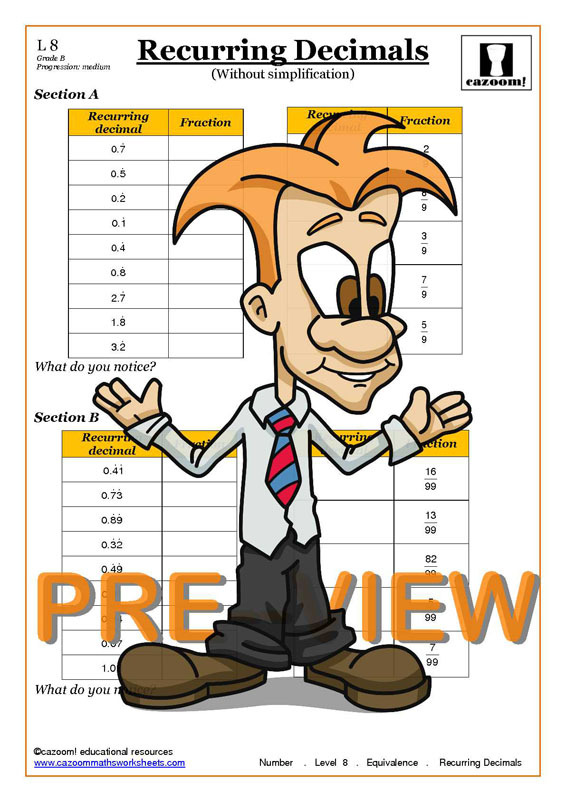 All our resources present all the information they need to know in a clear and easy to understand way, come supplied with answers so you can check how well students are doing and pinpoint areas for revision. The fractions, decimals and percentages worksheets we have available will prepare students for any question they encounter. We have worksheets available to help students at all levels convert numbers between fractions, decimals and percentages. 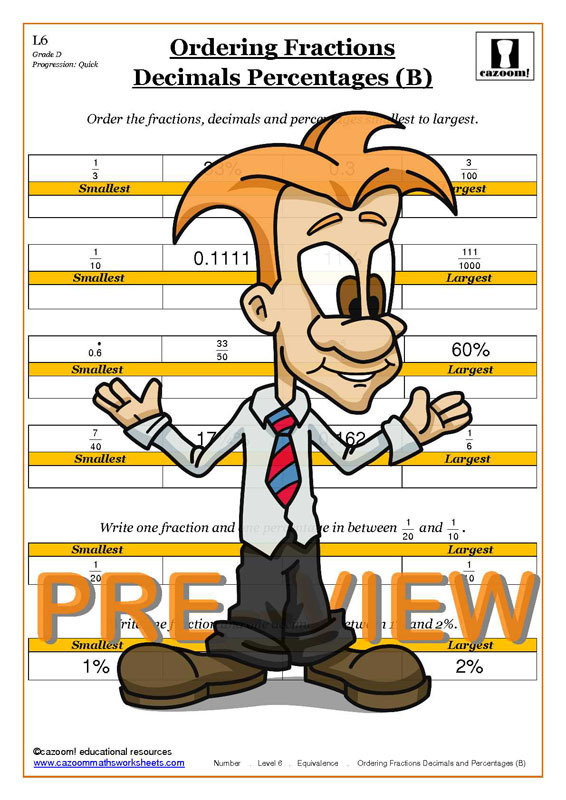 Whether they need help finding equivalent terms, or using recurring decimals, our resources will ensure your child or pupil is confident on all aspects of fractions, decimals and percentages. 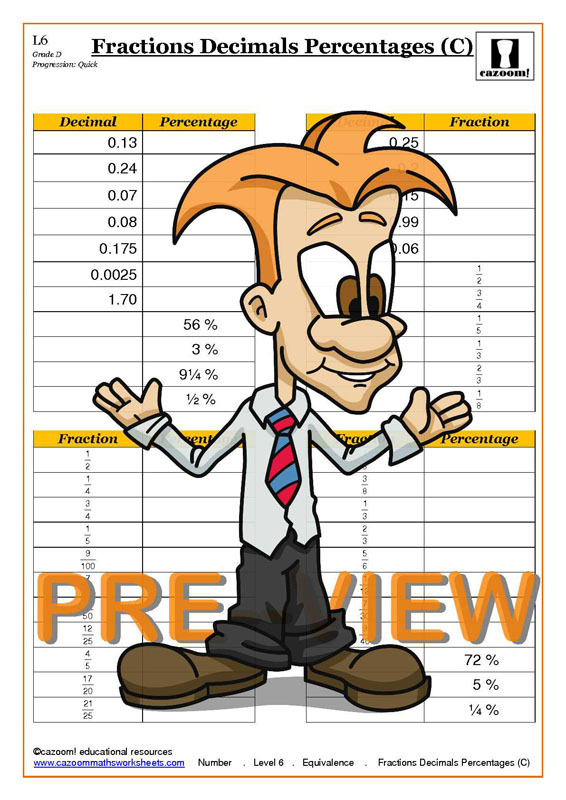 We have fun activities available to download to help teach children this important information in an enjoyable and engaging way, and plenty of questions to test their knowledge. Fractions, decimals and percentages have many applications in our everyday lives. Data and statistics are often presented as a fraction or percentage in news articles to make the results of research more concise and easy to understand. 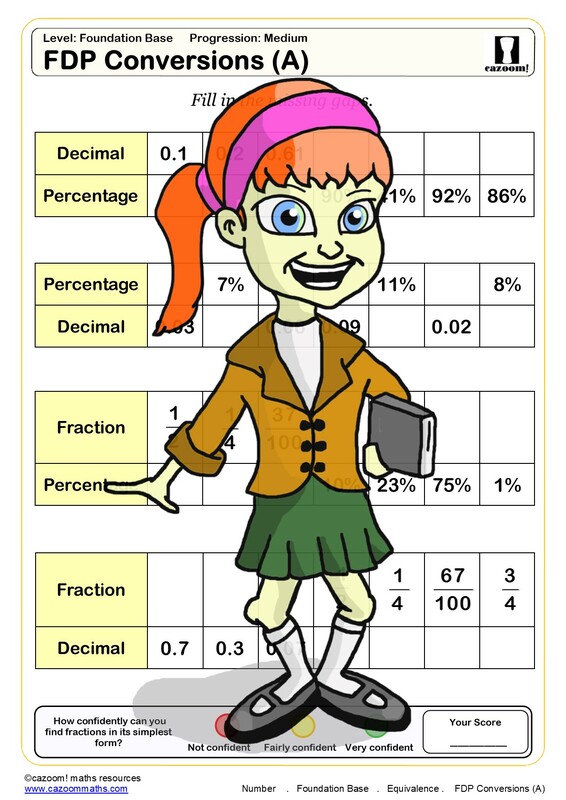 In order to get a sense of what the statistic actually means, we will draw upon the knowledge of fractions, decimals and percentages we learned in school. This is not the only example where it will be useful to know about fractions, decimals, percentages in real life. 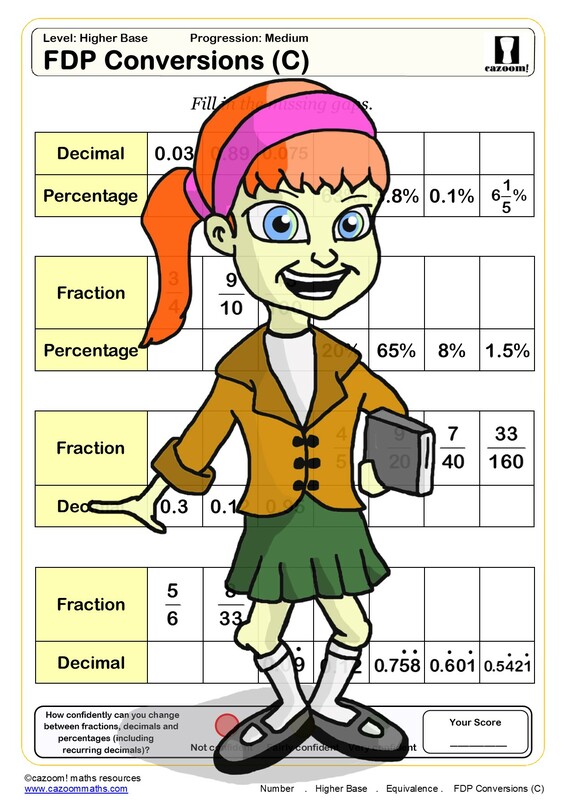 Amounts of money are always represented in decimal form, and when measuring ingredients for a recipe, amounts are sometimes represented in fraction form. 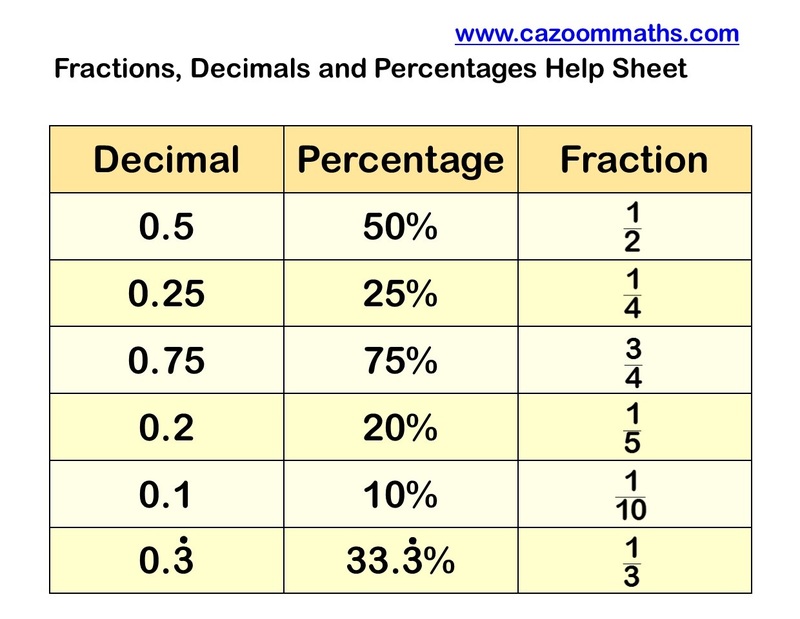 There are also situations in which we need to know how to convert an amount between a fraction, a decimal and a percentage. For example, if a recipe asks you to use 2.5ml of oil, but you do not have a utensil to measure such precise amounts, you know that 2.5mls is equivalent to half a teaspoon. 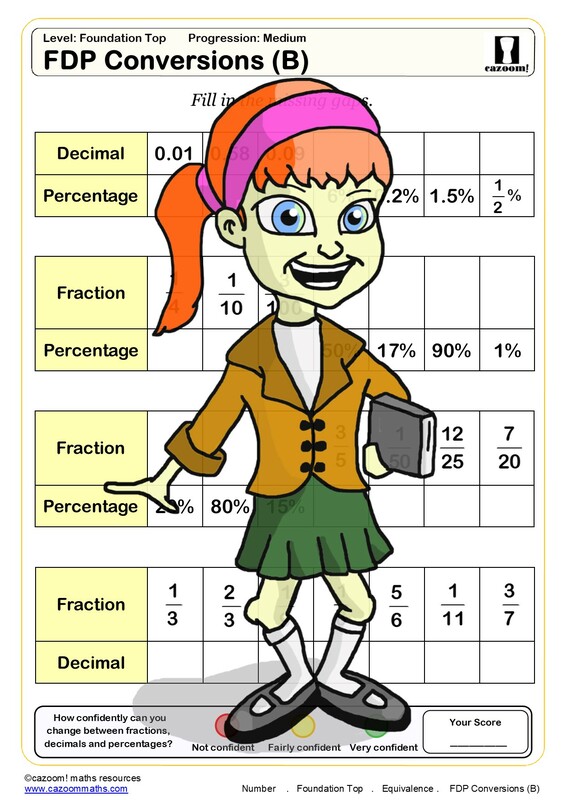 Using fractions, decimals and percentages and recognising equivalence between them is an important skill which has many applications in real life. Fractions, decimals and percentages worksheets can help students become confident on this area of maths. 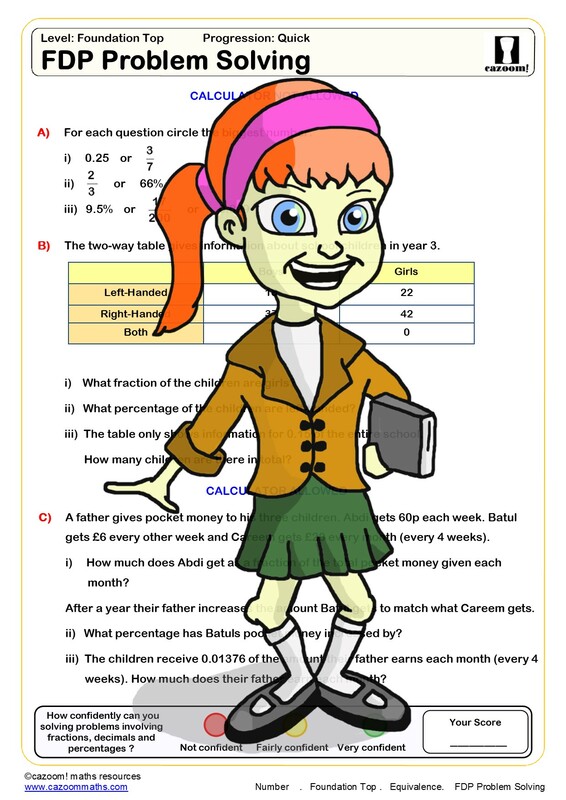 Worksheets which include worded questions and real life examples are particularly useful for teaching children about the relevance of this topic.